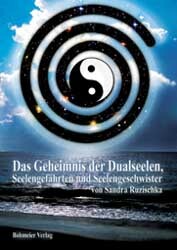 This book deals with the manifold spiritual relationships, their specific features and meanings for our life. The main focus is on the twin soul, the most misunderstood mental relationship. This book is meant to help those people who do not know what is happening to them when they meet their twin soul and their life is turned upside down; they think to be losing their mind and do not understand what is going on. It is trying to answer the many questions that turn up inevitably when one meets a person with whom a soul relationship exists. But it is also meant as a self-help when the relationship with the twin soul develops in a chaotic way, pain and trouble overwhelm us and we do not know how to live on. The author wants to show us a way to transform the sometimes seemingly negative aspects of our spiritual relationship and make us recognize and seize the great chance of growth for our own personality. All meditations and exercises that I present here can by done by everybody without previous knowledge or experience. They can help you find more understanding, awareness and insight on higher levels and are methods to lead us back to ourselves and thus to our twin soul. In the 1st part I explain the basics of the soul, its character and its divisions. This shall serve for a better understanding of the connections between the various soul relationships described in part 2. 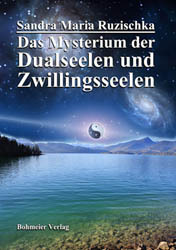 The 3rd part of this book presents helpful techniques, which, if regularly practiced, can assist you in case of problems with your twin soul or other soul relationships. Please buy the ebook (Format: ePUB, PDF for: Mac OSX, Windows PC, all DRM-e-Reader, Apple iPad, Android Tablet PCs, Apple iPod touch, iPhone and Android Smartphones) by our partner Ciando or other ebook sellers.